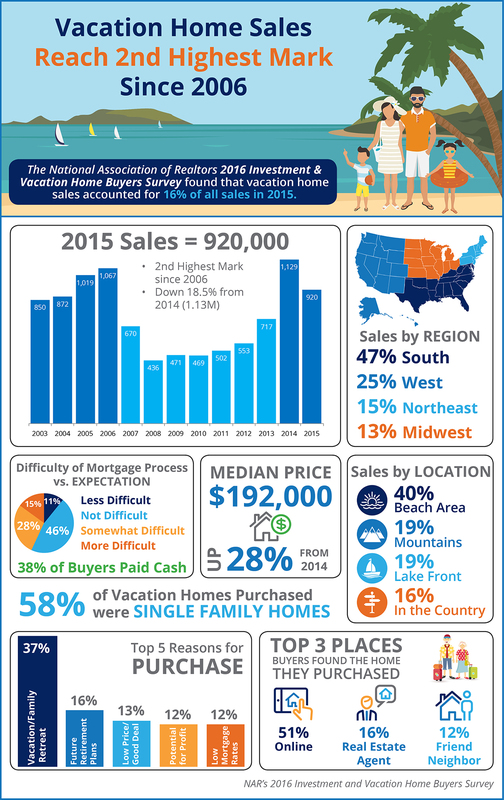 58% of vacation homes purchased were single family homes. 51% of vacation homes that were purchased were found online. The median price of a vacation home is up 28% from 2014.